A Kootenay-made short film, which has screened at over fifteen festivals in Canada and internationally over the past year, will make its long-awaited Nelson debut next week. Eyes In The Forest: The Portraiture of Jim Lawrence offers a rare and stunning look into the world of well-known Kootenay wildlife photographer Jim Lawrence. 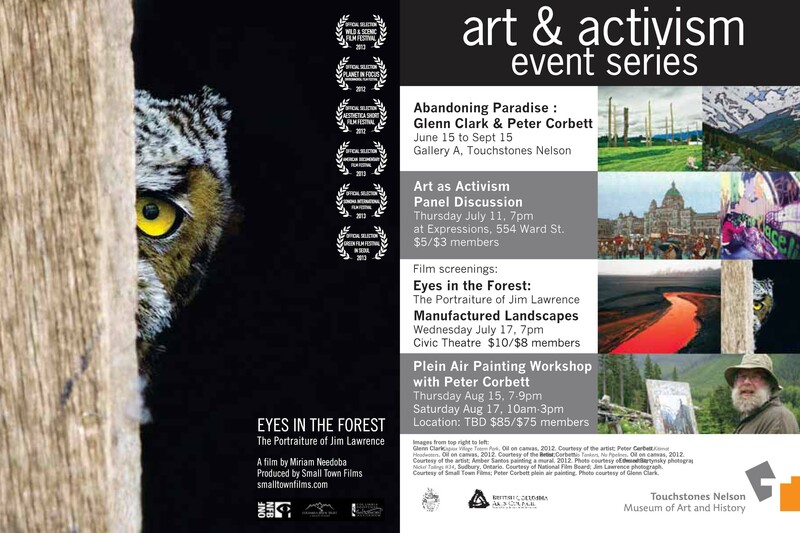 The film will be screened at the Civic Theatre on Wednesday, July 17 at 7:00pm, along with the with feature documentary Manufactured Landscapes, as part of Touchstones Nelson’s Art & Activism event series. Filmmaker Miriam Needoba and photographer Jim Lawrence will be on hand after the screenings for a question and answer period with the audience. Eyes in the Forest interweaves the startling imagery of Jim Lawrence’s still photography with Needoba’s sublime cinematography of the West Kootenays. 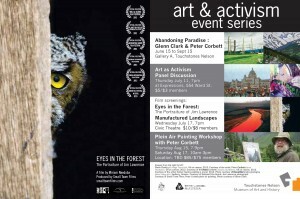 The film is both a restrained study of landscape and wildlife, and a conversation between two artists and their art forms. Nelson-based Needoba is hoping to find a broadcaster for the film, which has already screened at Planet In Focus Environmental Film Festival, and is currently in competition at DOCUTAH film festival. Needoba had some local help with this, her first documentary film, working with sound editor Luke Martin and sound designer Adham Shaik. The film was produced with the assistance of the National Film Board of Canada, Columbia Kootenay Cultural Alliance and Columbia Basin Trust.